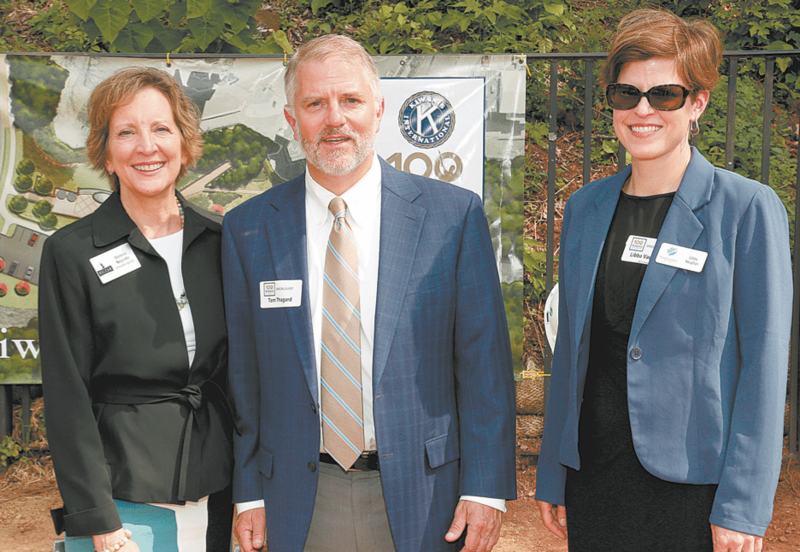 The Kiwanis Club of Birmingham held a ceremony in May, breaking ground on its Centennial Project renovations at Vulcan Park and Museum. From left, Darlene Negrotto, Thomas Thagard and Libba Vaughan. Photos special to the Journal. Throughout its 100-year history, the Kiwanis Club of Birmingham has remained cemented to its original mission while adapting to the often tumultuous environment of the city it calls home. “Supporting and strengthening our city has always been the mission of the Kiwanis Club of Birmingham,” said Thomas Thagard, club president. The Birmingham club’s secretary, James L. Noles Jr., who is a lawyer with Balch and Bingham and resident of Mountain Brook, recently published the book on the club’s history and legacy. The first Kiwanis Club was established in Detroit, Michigan, in 1915 to provide businessmen and professionals with a club that did not offer its members insurance benefits, as was standard at the time. Within two years, the Detroit club chartered 40 new clubs across the Northeast and Midwest. On May 19, 1917, the Kiwanis Club of Birmingham received its charter and, 100 years later, has grown to become the largest Kiwanis club in the world with more than 550 members. A legacy of dedication to supporting the city of Birmingham and enhancing the lives of its community members began in the 1920s, when the club hired the Olmsted Brothers, sons of the famed designer of New York’s Central Park, and established a park system that included Avondale Park, East Lake Park, Elyton Park, George Ward Park, Linn Park, the Birmingham Zoo and the Birmingham Botanical Gardens. Ten years later, the club led efforts to move Vulcan to its current resting place on the top of Red Mountain. Now, a century after receiving its charter, the club has organized a centennial project that celebrates its past and future by revitalizing Vulcan Park and Museum. 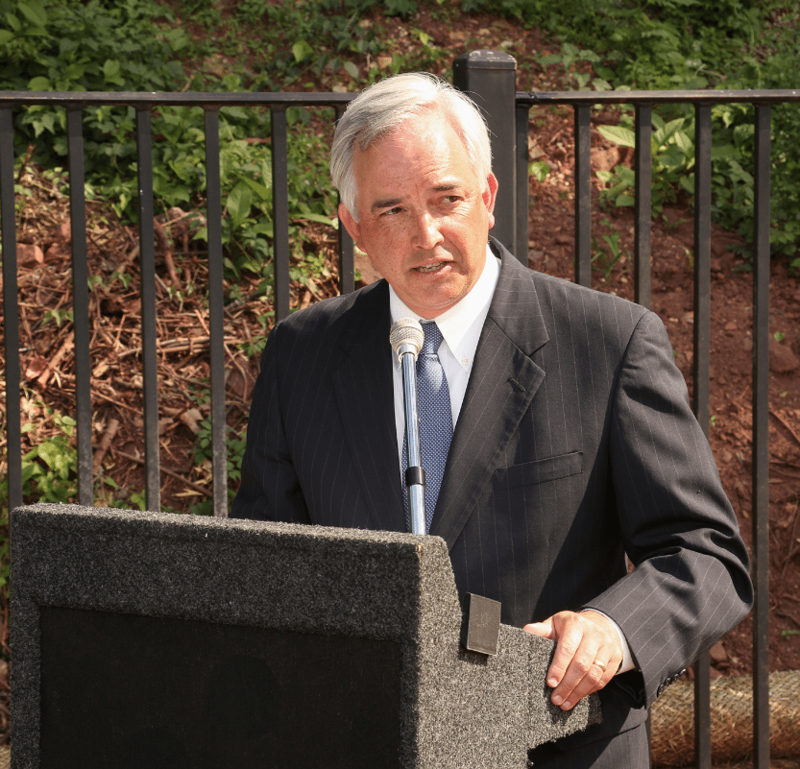 In partnership with the city, Vulcan Park and Museum and the Freshwater Land Trust, club and project officials broke ground on the more than $4 million, three-point Vulcan project. It begins with the installation of a multi-colored light show, designed by Schuler Shook, that will be projected onto Vulcan every night. The north side of the park, which club officials note is in significant disrepair, will be landscaped and a lower piazza entrance will be renovated into a municipal event space and named the Kiwanis Centennial Park. “In addition to enhancing Vulcan’s prominence on the skyline, this visionary project will physically connect Vulcan as the central hub from which locals and tourists will access our cultural institutions and parks,” said Darlene Negrotto, president and CEO of Vulcan Park and Museum. A final component will be the creation of a two-mile trail that will extend from the park to Green Springs Highway. “The trail connection from Vulcan Park to Green Springs Highway is the vital backbone of the Red Rock Ridge and Valley Trail System,” said Libba Vaughan, executive director of the Freshwater Land Trust. The trail is the central green space in the 750-mile trail system that the city and the Freshwater Land Trust are working toward. Through future development of connecting trails, Vulcan Park’s trail will be connected to the Rotary, Lakeshore, Jemison and Jones Valley trails; George Ward, Red Mountain and Railroad parks; and the Birmingham Zoo and Botanical Gardens. “We hope the project will reconnect Vulcan to downtown Birmingham. Birmingham is on the cusp of a renaissance of sorts,” Thagard said. The hope for the project, according to Thagard, is that it will serve as a catalyst for renovation, rejuvenation and transformation for a new Birmingham. According to club officials, more than 75 percent of the project’s $4.66 million budget already has been raised, and a GoFundMe campaign recently was launched to raise the remainder of the funds. To donate, visit gofundme. com/kiwanis-centennial-park-at-vulcan. “I think the book has a great cover that depicts Gene Autry with a young polio patient in a bed sponsored by Kiwanis at the Crippled Children’s Clinic. For me, that captures it all,” said Noles of the club’s legacy of service. For more information on “Images of America: The Kiwanis Club of Birmingham,” visit arcadiapublishing. com. Books can be purchased through the website and through Amazon.